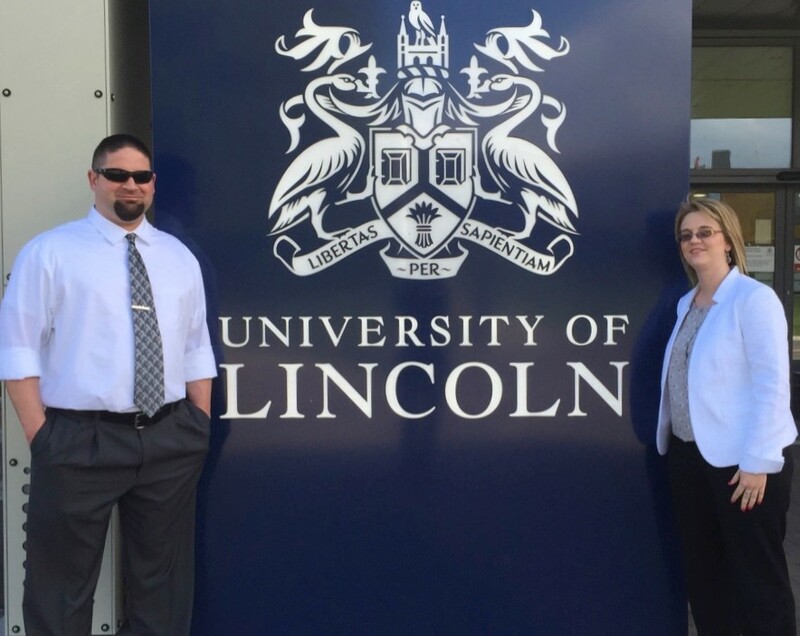 Kellye McIntyre, MSW, and Austin Griffiths, MSW, traveled to Lincoln, England to visit the University of Lincoln School of Health and Social Care in June of 2015. The trip included meetings with multiple social work agencies, a presentation on the American child welfare system, and a presentation/workshop at the University of Lincoln Practice Educators Conference on June 2nd. Commonalities and differences within the international profession of social work were explored. The relationship with the University of Lincoln offers future collaborative opportunities for the WKU Department of Social Work and its students. Find out more about our Social Work Program by visiting our website: http://www.wku.edu/socialwork/index.php.